Peter Vesterbacka, chief marketing officer, at Rovio has told Bloomberg that there are no plans to release the latest iteration of the popular time sink on Microsoft's mobile platform. Despite the original game still being the most popular app in the Marketplace, Vesterbacka claims that "...it's a big undertaking to support it, and you have to completely rewrite the application." So, until a Series 40 version is confirmed, you bird slingin' Nokia fans will just have to wait. The news will be a disappointment to Windows Phone users, I’m sure. But I doubt it will be enough to convince you to switch platforms. If it is, it’s possible your Angry Birds addiction is getting out of control and we’d advise you to seek professional help. Update: It seems as if Mr. Vesterbacka misspoke, or his comments were taken our of context. 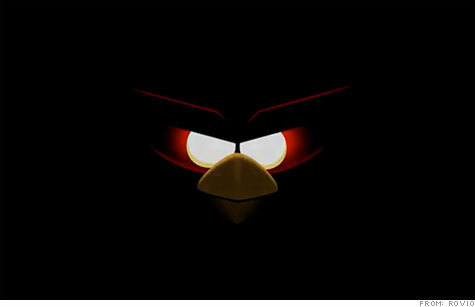 Rovio's CEO, Mikael Hed, told Reuters that "we are working towards getting Angry Birds Space to WP7," though there is no time frame set for the release yet. I am angry there is no angry birds for my phone.